Guns N' Roses declined with extreme prejudice an overture from "Glee" producers to use the hard rocking band's songs in an upcoming show. Guitarist Slashtold "Entertainment Weekly" the show and its cousin, "High School Musical" depress him. 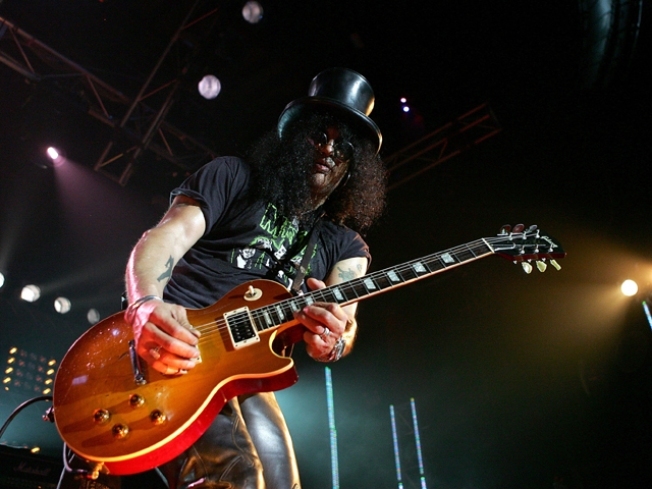 "In the current climate of what's going on in entertainment these days, I try to be more optimistic than negative because it's really easy to get negative about it, but I draw the line at 'Glee,'" said Slash, whose real name is Saul Hudson. The solo shredder behind "Paradise City," "Welcome to the Jungle" and "November Rain" said musicals of his youth were bad, but not this bad. "When 'Grease' came out I was like, 'Oh, c'mon, give me a break,'" said Slash, 45, who's currently touring with Ozzy Osbourne. "Actually, I look at 'Grease' now and think (that) between 'High School Musical' and 'Glee,' 'Grease' was a brilliant work of art." Guns N' Roses aren't the first band to say no to "Glee." Coldplay and Kings of Leon have also declined, though both are thought to be reconsidering. Selected Reading: Entertainment Weekly, Slash.ultimate-guitar.com, Examiner.